What’s the Deal with Weeds? Lately, there has been a lot of brouhaha around RoundUp being used on farms. It has been used on farms, homes, and in landscaping for decades. Thanks to the manipulation of the media and “organic” science, it’s at the forefront of farm talk. So why do farmers use herbicides on their farms? I remember my dad telling me a story about his first venture into growing papayas. He had heard of an old Japanese man who grew the sweetest papayas in Waiahole Valley. He decided to go and visit him to learn what he did to grow them that way. My dad asked him, “Ojisan, what makes your papayas so sweet?” The old man simply said, “The sun must hit the ground. My dad was puzzled by his response. He thought to himself, what does that mean? Like many Japanese men, the Ojisan (grandfather) was one for little words. He didn’t go into a lot of explanation but just repeated that the sun must hit the ground. As my dad observed his field, there was very little weeds and the trees were planted some distance apart. With the trees nearly 10 feet apart, he could see the maximal exposure of each leaf towards the sun. He could also see that by planting it this way, the sun hit the soil. My dad took this advice to his own field to try out. He kept the ground free of weeds with Roundup and planted them as the man instructed. Plowing the weeds isn’t good because it disturbs the shallow root system and the microorganisms in the soil. 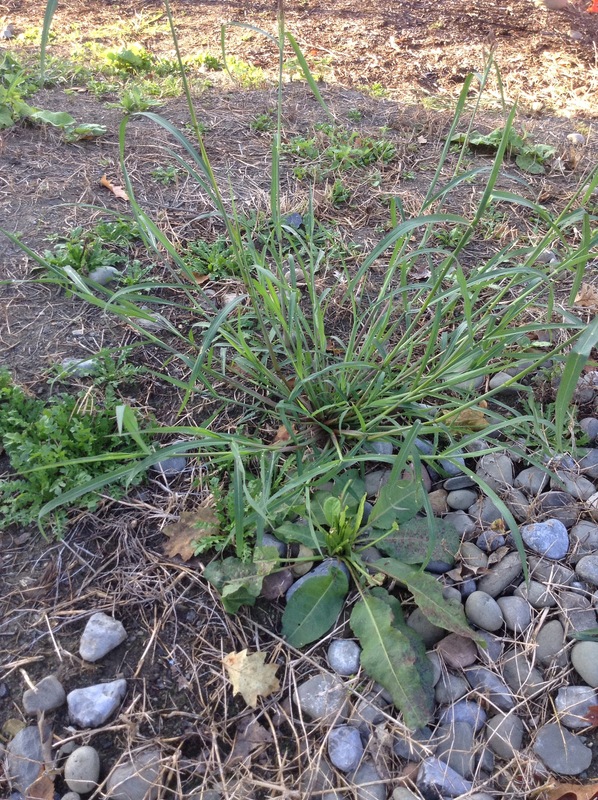 Too much weeds fosters too much moisture in the soil making the roots prone to rotting. The weeds also compete for nutrients and stresses the crops. 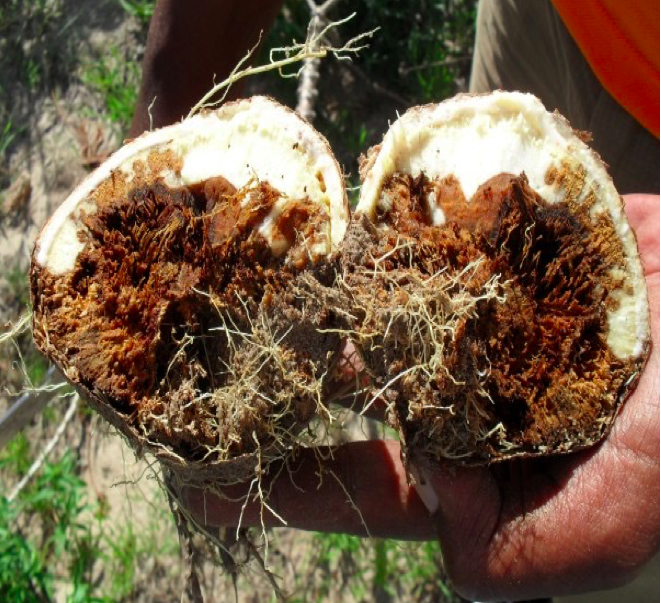 Stressed roots create multiple problems for fruit production. He simply grows a cover crop then later plows it in to prep his field. When the crop is well composted in, he preps it for planting. With just a pinch of fertilizer, my dad carefully planted he evenly plotted the field out. He learned that he needed specially bred seeds from the University of Hawaii to grow the best possible fruit. He learned from my grandpa’s first venture into farming that you can’t simply save seeds and plant it. My grandpa had saved seeds from a Big Island Kapoho papaya to find that it produced golf ball sized papayas after months of tending to his field. He had planted over an acre of this papaya only to have to destroy it. My dad surveyed the field and shook his head in dismay since he had learned from his study of agriculture the importance of selecting the right seed. When it was time to plant his fields, careful planning went into undertaking this endeavor. My dad had money invested into land and equipment that needed to be paid off with the crops he grew. He carefully tended his crop and followed the advice of the old man. Tending a crop means going in and taking a backpack sprayer and spot treating the weeds so that they don’t overrun his field. This is a far cry from the alleged “dousing” that farmers are accused of. The weeds must be kept down or the young trees can’t compete against these fast growing things. After several months, the trees will flower and fruit. It takes about a year before a field is ready to produce fruits. A farm isn’t an instant money maker unless you are a farmer. When it came time to harvest the first fruits, he could see the difference in the consistent size. Then he cut into the fruit and tested the sugar content. Sure enough, the reading gave a brix of 14-15, indicating a very sweet flavor like no other. My dad’s pride came when customers fell in love with super sweet papayas. The consistent sweet flavor created a following of customers for decades. Many flock to the markets seeking his papayas. It’s this simple act that has kept him farming for life. It’s easy to get scared of the things you read on the internet about what farmers do. The reality is that Google can’t tell you everything about their practice so. There is science in everything that we eat and that same science in the way farmers farm. My dad uses his knowledge learned in textbooks and via observation to grow those tasty fruits. It takes precise actions and careful cultivation to get a product that consumers will eat. There’s science being practiced in every aspect of growing and preparing a single papaya before it ever gets to the store. In everything that we eat, there is science. You might not see it or realized it isn’t even labeled. The base ingredients have an array of science incorporated in how it’s grown and processed. Not many people sit there and think about it. If you like what you eat, thank that farmers who grew it for you. They deserve our appreciation. So why do farmers need biotechnology? If you look closely at the image above, you can see tiny rings on the skin of the papaya. It looks like no big deal but in reality it’s the most dreadful thing a farmer can find. It’s caused by a little bug called the leafhopper. It flies around fields and takes little tastes of plants only to infect it with the virus. One could spray for these critters but once a plant is bit, sprays are ineffective. Beneath that healthy looking plant is a disease that slowly weakens the it over time. Many farmers would see these rings on their fruit and think nothing of chopping down a tree with lots of good looking fruit on it. These trees are loaded with papayas. It’s money sitting on those trunks. The leaves show no sign of disease so a threat doesn’t appear imminent. As time goes on, the virus count starts to increase in the plant and the leaves eventually become mottled and disfigured which impairs photosynthesis. Photosynthesis is how a plant converts light into food. Impaired leaves can’t produced food for the plant. That affects the trees’ ability to produce fruits. As the disease progresses, fruits become more covered with the ringspot. The quality of the fruit also declines as a result. The papayas are unsaleable as a result of the virus. So what’s a farmer to do? The most economical thing to initiate is killing the virus infected trees to prevent a vector source. The other thing that can be done is trying to breed a stronger plant to resist the virus. One has to have the good plants that can be crossed if any exist. If there aren’t any signs of virus resistance found, other things are tried. Cross protection was trialed by using the weak version of the cucumber mosaic virus to inoculate the plant. 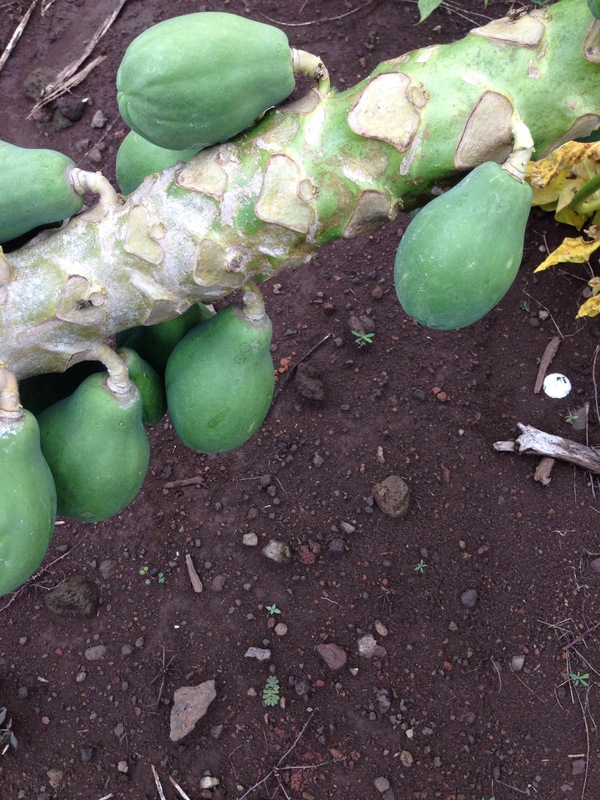 The problem with cross protection was the varied production in the papaya trees and inconsistent fruit quality. Farmers did not want this option. There isn’t a whole lot a farmer can do at this point. Some farmers move field locations to escape these pesky bugs but that’s also risky because it means clearing more forests and no certainty that the virus will not hit. All the hours of preparing a field with clearing it, setting in the irrigation, fencing it, and other work needed isn’t guaranteed that you’ll get anything. For the papaya farmers of Hawaii, there really wasn’t much left in terms of options to grow their crops. Papayas are really a main staple fruit for many of our locals. For decades, people would line up at the small Chinatown markets for my dad’s arrival with his cases. I learned how dedicated these old folks were when I had to do a delivery there and was 10 minutes late. I got scolded and canes shaken at me for not being there on time. Then when I helped to unpack the cases, they came at me like a mob of gray and white flurries of herbal smelling hobblers. They were determined to get their papaya. Some were so determined that if they didn’t get the one they wanted, they whacked their fellow customer’s hand with their hand carved wooden canes. I didn’t know whether to laugh or be afraid of the mob. Even at the local Times Supermarket, retirees would wait outside to watch for his delivery truck and alert the produce folks when it came. Many customers were dedicated to supporting our farm by choosing his papayas with the distinctive Kamiya papaya sticker. We have made so many friends through the selling of our papayas over the years. These people are so appreciative and supportive for our farm and we are thankful that we can provide these labors of love to them. So when you’re crops are failing and dying, your customers whom you’ve known for years, are left with nothing. Their favorite comfort food is no longer available. It’s hard to turn them away and tell them that you have nothing. With no income from the farm, it means the family farm needs supplemented income since leases, utilities, maintenance, and other costs remain. A farmer’s livelihood is in danger. My dad always knew this about farming and worked a day job as a result. Farming was his after 3 p.m. job. It didn’t matter if he worked some 12 hours a day, 6-7 days a week. This is what he loved. So many other farmers share his passion that few people can really appreciate much of the time. To hear that the disease might threaten my dad and brother’s farm gave me that feeling of sinking again. My brother said that he felt really sick finding the disease in the fields again and had a flashback of going with my dad and taking the machete to rogue out tree after tree. He almost fell panicked by seeing the rings on his fruits. I felt so afraid knowing that maybe something really bad is happening that the virus mutated or something else is happening. Luckily, he saved all of the trees affected and took them to get sampled at the lab to see what was happening. 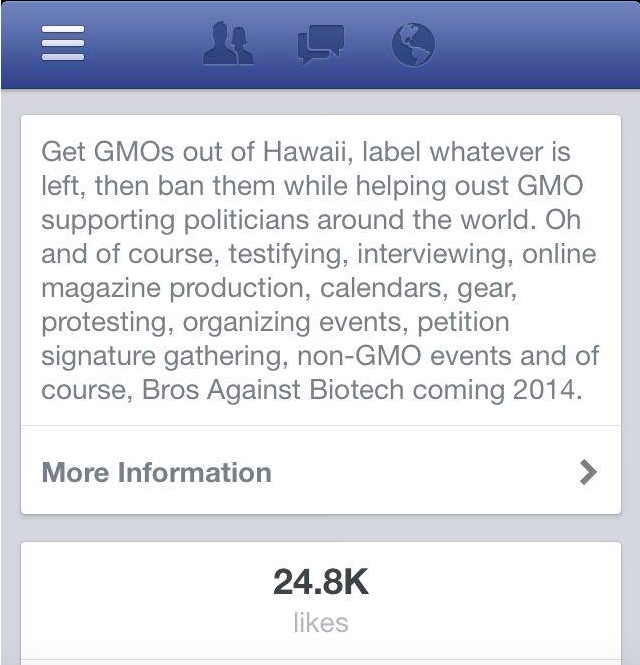 It turned out that all of the infected trees were the Kamiya type that weren’t crossed so they were non-GMO. When people go on the social media and start telling me that any farmer can go organic and should, I know that they know nothing about farming. They know nothing about losing your livelihoods to diseases. Their farm life is based on what they read and not real life experience. They can spout all kinds of “facts” and try to dictate how farming should be but they know nothing of the realities of what it takes and why farmers want science to sustain them. 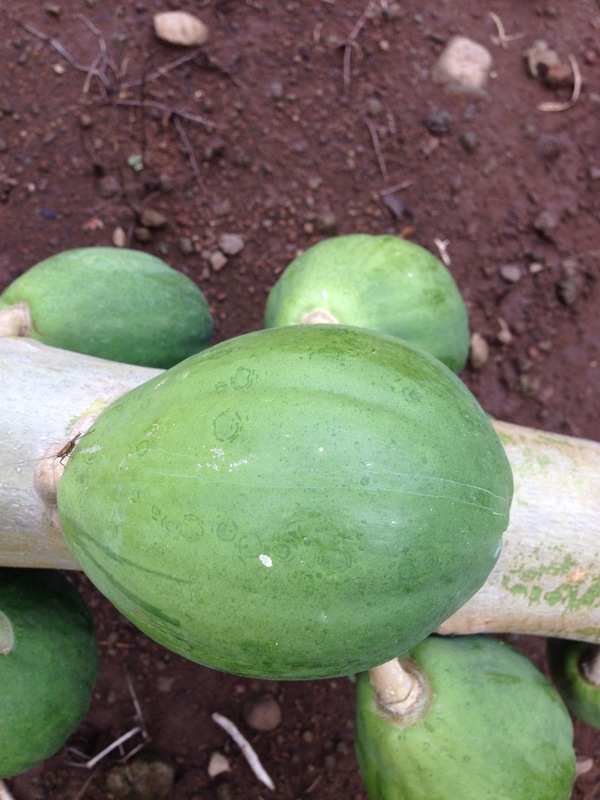 The story of the Hawaii papaya is a great example of how science saved a crop and can even helps save other farmers’ crops. It’s a tool that we simply can’t dismiss with bad information and misconceptions. 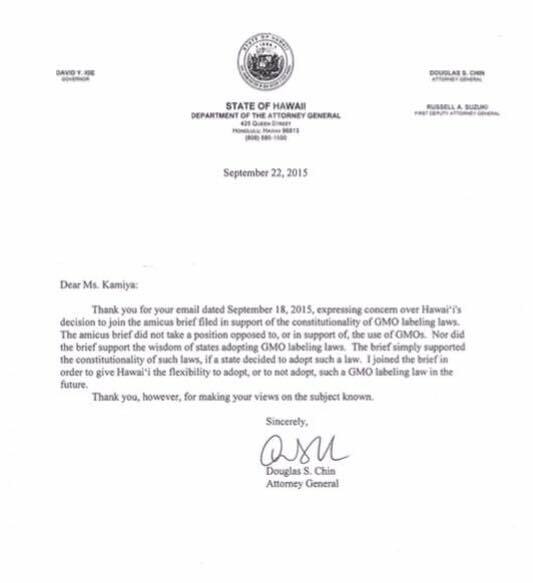 What’s even more disturbing is that a key University of Hawaii professor is telling his fellow anti-GM activists that the coat protein used in papayas are pesticides which makes it subject to safety issue. I thought that their accusations that Dr. Gonsalves created the PRSV virus to make GM necessary was bad but this is even worse. Even alleging that papaya farmers are selling an untested, unsafe product is their continued attack against small farmers. If you want farmers to be sustainable, we’ve got to restore our faith in science and the experts who help them grow our food. Google never saved a farm. A scientist did.